Prepare yourself for a new experience during your stay in Marsa Alam. 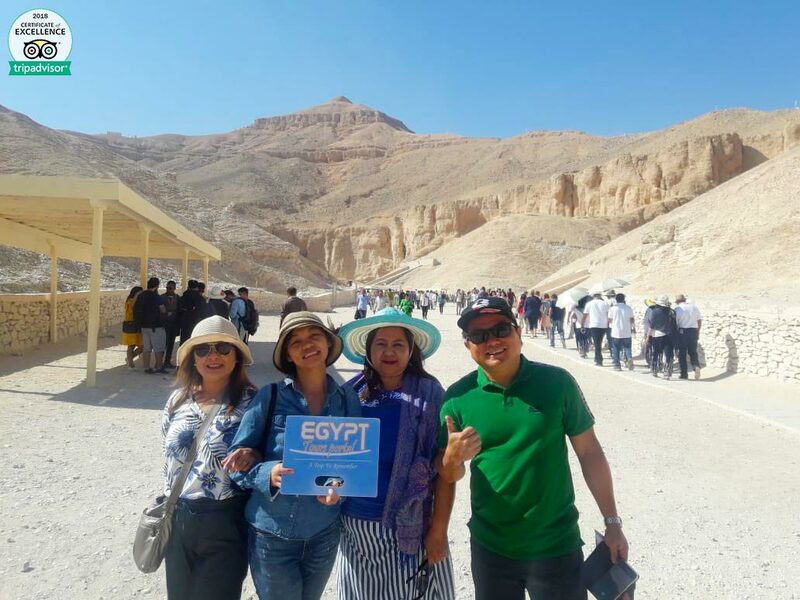 Enjoy a private two-day trip to Luxor from Marsa Alam to discover the great civilization of ancient Egyptians in the ancient city of Luxor by witnessing the Karnak temple, Queen Hatshepsut temple, Valley of the Kings, Luxor temple, and Colossi of Memnon, joined by a private Egyptologist tour guide. Live the adventure and book us now! Have your lunch on a Nile View restaurant before we drive you back to your hotel to end your trip to Luxor from Marsa Alam. 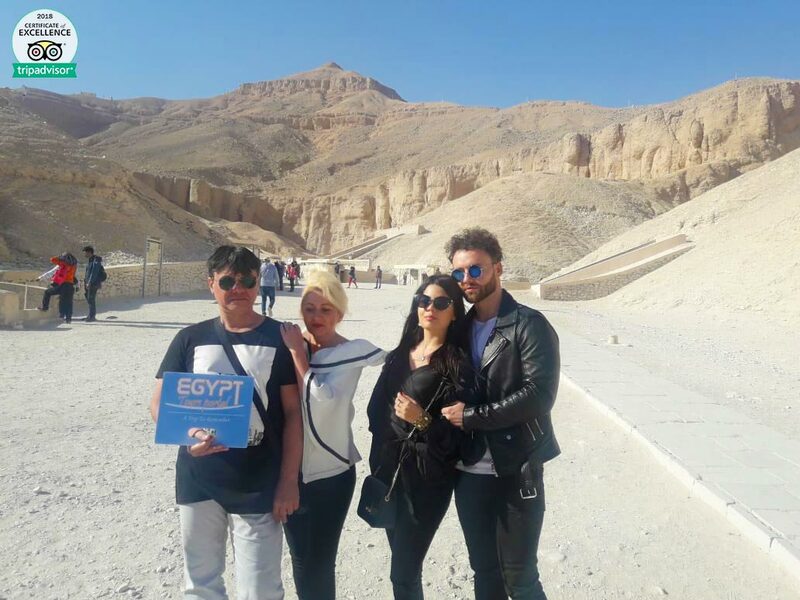 I have just been on a brilliant tour of Luxor with Nermeen. She gave me an excellent overview of the history helping me make sense of the incredible history around me. She interspersed this with humourous historical tales and pointed out small details which always grabs my interest. 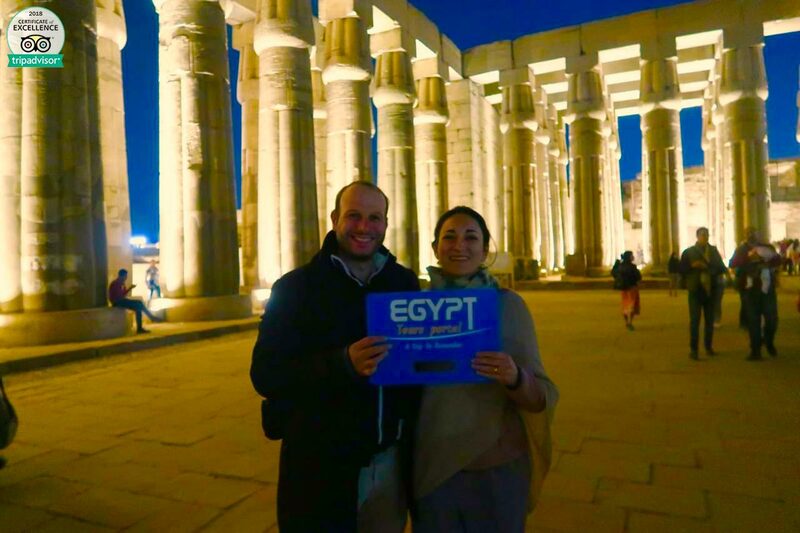 I would highly recommend her to anyone that wants to see the many sights of Luxor – she even used her contacts after to ensure that I had a traditional and delicious dinner to finish off my tour. The company was very professional and catered to our needs as we altered our two day trip. They were prompt communicators via email. The driver pricked us up at the expected time and was ready with water and anything else we needed for the trip to Luxor. There we met Galal who spoke excellent English and had a tour organised which made sense and his guidance throughout the temples and tombs was excellent. He left time for us to explore and did not bombard us with information unless we wanted him to. The hotel was excellent and he even checked us in. The lunches were are traditional restaurants and tasted great even for vegetarians. The time he spent with us made it very much worth the money we spent. I’d recommend this trip to anyone interested in Egypt, especially from a historical perspective. 1) The drive from Marsa Alem is over 6 hours! Our resort was about half an hour south of Marsa Alem so it took us almost 7 hours total, which we weren’t expecting! There is a shorter route but the road is off limits to tourists so you have to drive really far north. From Hurghada the drive is only about 4 hours. We left the resort at around 5:30 am, arrived in Luxor a bit past noon where we picked up our guide and then arrived at our first stop around 12:30. 2) The car is a regular sedan car. It was comfortable and had air-conditioning but we were expecting a private minibus. Also the air-conditioning is only in the front of the car so while the driver was cold, we were still really hot in the back. He was willing to turn it on but he was clearly uncomfortable. 3) Our driver Mahmoud was very friendly but he didn’t speak much English so we couldn’t ask any questions along the way. He also drove very fast which was appreciated since it took so long to get there, but as someone who gets car sick it was a bit rough and I arrived feeling very dizzy. 4) Request a schedule that works for you. The tour company and guide were very responsive and seemed to be quite flexible to our needs but we didn’t realize how hot, tired and hungry we would be upon arrival. We arrived in the heat of the day and went straight to Karnak and were not in the best shape to start an intense tour right away. We would suggest that if you are coming all the way from Marsa Alem to ask that you first do lunch, then hotel check-in to freshen up and then do your tours in the later afternoon and evening.) 5) The evening light show at Karnak was underwhelming. We didn’t think it was worth the 30Euro but it is nice to see it lit up at night. It is basically an audio recording of the history in story form. Our tour guide gave a much better and more historical guide when we visited earlier during the daytime. 6) We stayed at the Steigenburger hotel which was really nice. The breakfast buffet was excellent. Only negative was wifi was extra cost, you might want to ask for a hotel where it’s included if that’s important for you. 7) Our guide was Ayman. He spoke great English and was very friendly and helpful. 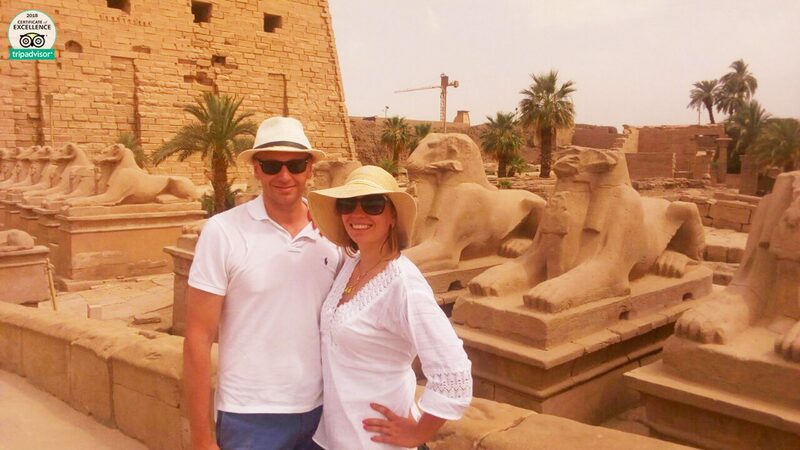 He is an Egyptologist and provided detailed informative tours of all the attractions. He was very patient with us and made us feel welcome. I’m sure it must be difficult having to repeat the same information to different people every day but we did sometimes hear the same information/story multiple times because he’d forgotten that he’d told us already. We tried to hint that he’d already told us but he didn’t catch on and kept going in great detail. He speaks very loudly which for us was a bit too much at times. We didn’t know how to tell him this without being rude and he was really passionate so we just went with it. 8) The lunch restaurant on the island across the Nile had great food and a beautiful view. They had a caged crocodile and wolves for tourists, which we didn’t like. We would encourage them to release the animals and that future tourists express their distaste of this practice since they only have them there as an attraction for tourists. 9) Do the nighttime carriage ride, you wont regret it! We were skeptical this was a gimmick but read in another review how great this was and we’d have to agree. The city comes to life at night and the ride through the market is a unique experience you can’t get any other way. 10) If you are still early in your trip planning we’d recommend flying to Luxor or Aswan and doing the Nile river cruise and skipping Marsa Alem and the long drive. This tour company has lots of different options and if you tell them your preferences they will be very accommodating and helpful! Just got back from two weeks in Marsa Alam, Egypt and must write a review for Egypt Tours Portal. Whilst in Marsa, we decided to book a two day trip to Luxor and so checked on the internet and fired off a few emails to various companies for quotes and itineraries. 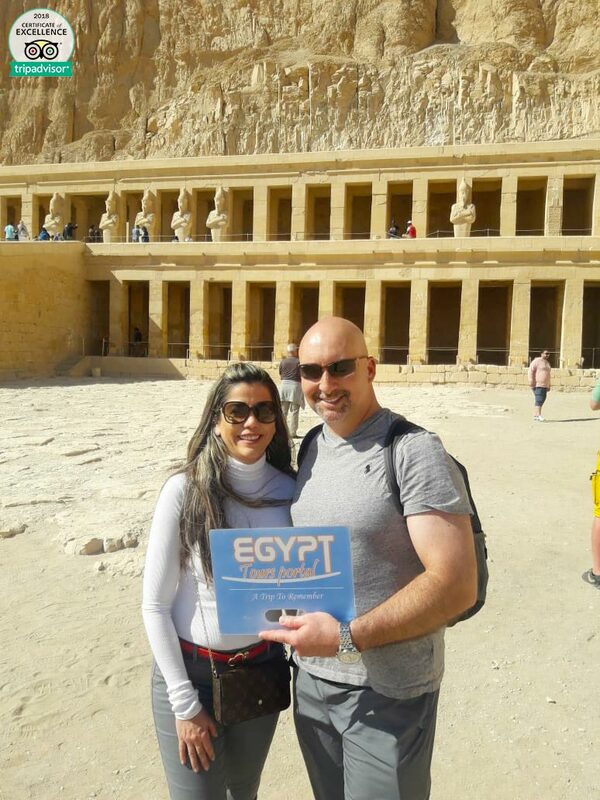 After reviewing all the responses, we opted for Egypt Tours Portals and am really i glad we did. The trip and service was amazing. We were picked up (very early in the morning) in a modern air conditioned car and taken to Luxor (got there in just over three hours !! but very safely driven.) To cut a long story short, in the two days, we saw Karnak temple, Luxor temple at night, valley of the Kings, Hatshepsut Temple, Colossi of Memnon, had a hot air balloon ride overlooking Luxor and the desert at dawn (amazing !!) Had a trip down the Nile for lunch on day one, and in a veranda restaurant over looking Luxor temple across the river for day two. The Sonesta St Georges Hotel was wonderful and right on the Nile. For a small fee, we asked an upgrade to a Nile facing room and were treated to a wonderful sunset over looking the west bank and Hatshepsut Temple. Every time we came out of one of the attractions, Ahmed, our driver was there with the aircon and car waiting. Our guide, Mohammad, was excellent company and extremely knowledgeable about all the places we visited. There was no pressure on time and we spent as little or as long as we wanted in each area. What was even more impressive was that the itinerary was flexible and Mohammad was happy to change anything if we wished both in terms of the itinerary or order of visits. The two days were amazing and we cannot thank Egypt Tours Portal, Ahmed and Mohammad enough for a truly fantastic and memorable experience. 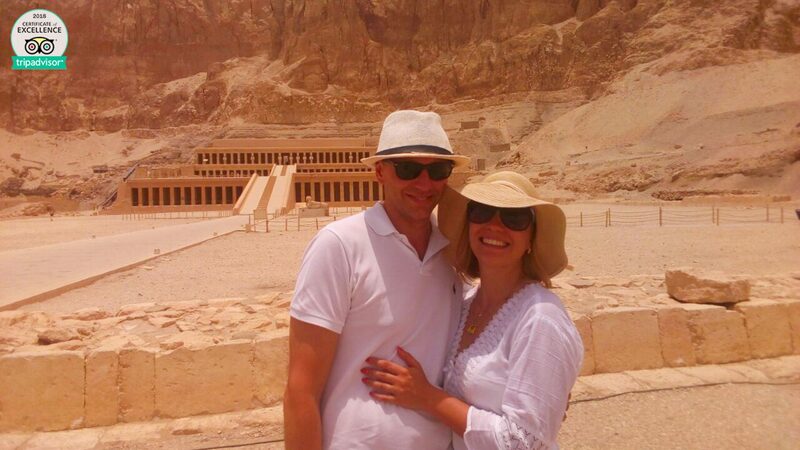 I would have no hesitation in recommending Egypt Tours Portal for service and safety as well as great value. There is a reason they are top of of Tripadvisor ratings. They are excellent ! !